The GOAT. We’re taking a look at the boots deemed worthy of the greatest player on the planet. 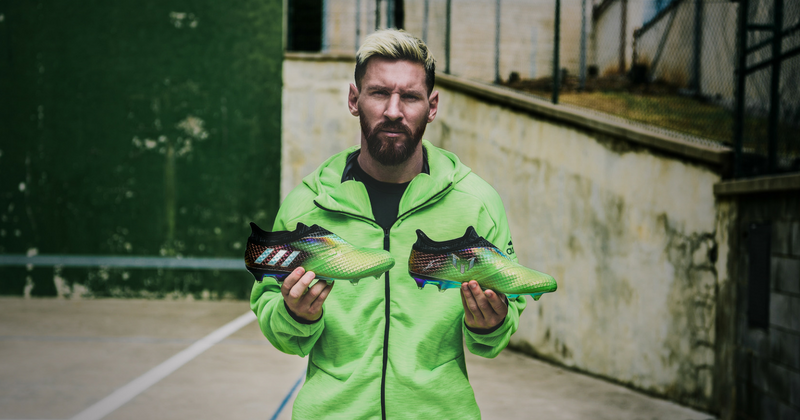 Lionel Messi and adidas have developed one of the strongest partnerships in sporting history. However, it hasn’t always been this way. The Argentine magician was approached by Nike at the tender age of 14, and was actually wearing a pair of Air Zoom T90 III boots on his La Liga debut in the 04/05 season. He switched between the three main Swoosh silos available at the time, and bagged his first goal in a pair of Air Legends. However, that’s about as far as Messi’s history with Nike really goes. In early 2006, he signed a lucrative five-year deal with adidas, after the Three Stripes recognised the youngster’s unbelievable potential. Just over 12 years later, it’s fair to say it’s been money well spent. The adidas ‘10/10’ boots celebrated the greatest No.10 in history. 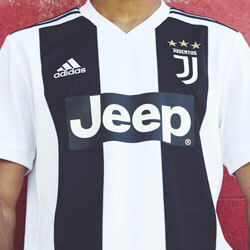 Image from adidas. Messi began his adidas career trying out their innovative f50 range, a boot silo which complemented his unstoppable pace and mind-boggling agility. A little further down the road, Messi had become the face of this particular silo, as he gradually transformed from an exciting wonderkid into one of the greatest players to ever play the ‘beautiful game’. In case you needed reminding, it was the f50 that Messi famously removed and showed to the cameras after scoring in the 2009 Champions League final. He went on to win the Ballon d’Or for the first time that year, stealing Cristiano Ronaldo’s crown and starting one of the greatest sporting rivalries in living memory. 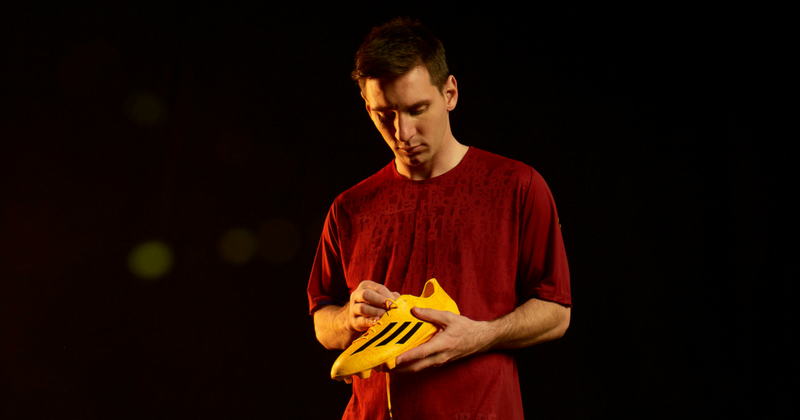 After a few more casual Ballon d’Or and Champions League triumphs, Messi was finally presented with his first signature f50 boots in 2013. Using the famous Sol de Mayo to honour his multiple Ballon d’Or wins, this was the first time adidas really stood up to applaud the achievements of their most valuable asset. Of course, this is something they haven’t stopped doing since. These gold f50 adizero boots celebrate Messi’s World Cup 2014 Golden Ball win. 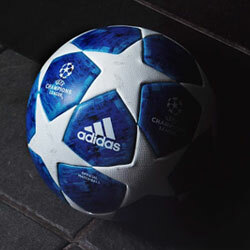 Image from adidas. But, as we all know, the adidas f50 silo was discontinued in 2015, allowing Messi to become the face of a brand-new collection of football boots. The adidas Nemeziz introduced some of the most innovative boot tech ever seen on a football pitch. 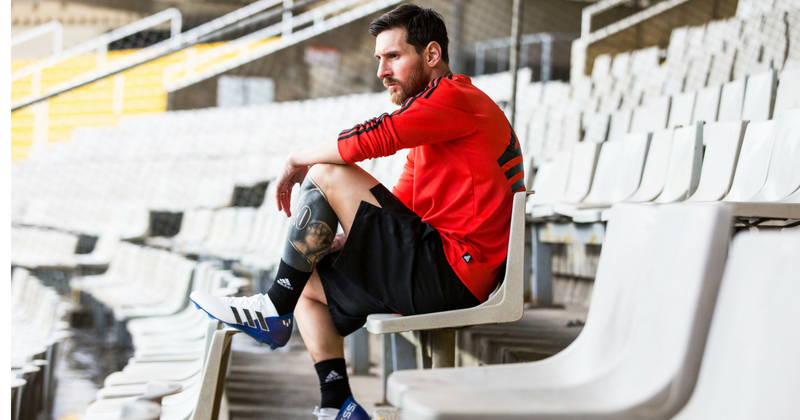 Built to enhance agility and pace, it’s always seemed as though the Nemeziz was constructed directly with Messi in mind, utilising a lightweight upper and enhancing swift, unexpected changes of direction. Messi has been showing off the adidas Nemeziz ever since, donning his various signature designs and continuing to tear entire teams apart. Although it was a disappointing campaign, Messi introduced us to the 18.1 Nemeziz in the 2018 World Cup, showing off his own vibrant ‘Energy Mode’ colourway throughout the tournament. Lionel Messi has been wearing the adidas Nemeziz for 3 years now. 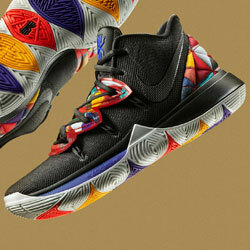 Image from adidas. But what boots does Lionel Messi wear right now? As the 2018/19 La Liga season gets underway, it looks as though he’ll be taking to the Nou Camp in the new ‘Team Mode’ Nemeziz. This signature design features the same AGILITYKNIT and AGILITYBANDAGE tech as the standard version, but offers a nice twist on the striking blue and white colourway. 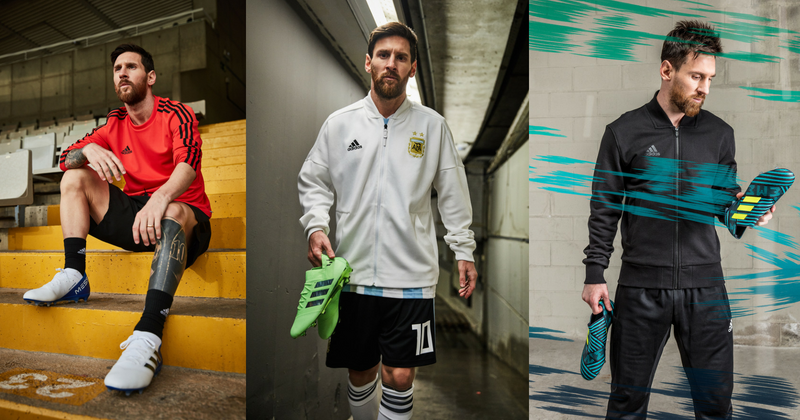 The Messi logos stand out prominently on the side of the boot, while the Three Stripes sit boldly in black. But the 18.1 has only just been born, and it’s only a matter of time until adidas release even more colourways for you to choose from. Either way, if you want to play like Messi in 2018, then the adidas Nemeziz is undoubtedly the way to go. It might not be quite as famous as the f50 yet, but there’s still plenty of time for Leo to write the Nemeziz into the history books. 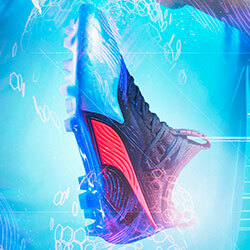 You can even bag a pair of these cutting-edge football boots by comparing prices with FOOTY.COM. 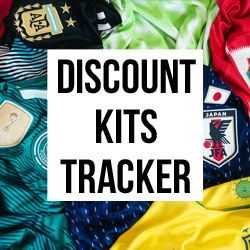 Browse our Messi collection today and get set on your own path to greatness. Are you a midfield magician or a lethal striker? Here's your guide to which adidas football boot is best for you!